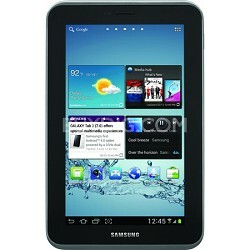 Again today, CowBoom (Best Buy Company) has a Cowboom Preowned Android Tablet 1 Day Flash Sale. Some have Free Shipping, others may add $5 for shipping. Their Deal of Day switches when a model sells out, so stay on the site and refresh your browser. Keep checking back and you may find your perfect choice! Coupons do not apply. We purchased a Nexus 7 tablet and iPod Touch Gen 5 from them recently and saved a ton of money. Cowboom sells pre-owned products that are fully functional but may show signs of use or may be missing accessories like a cable or charger. Their description shows what is included. Each item has a condition grade: Excellent, Very Good, Satisfactory or Fair. We suggest staying with Satisfactory or above for the best looking models. If you're not satisfied with your order, Cowboom offers a 15-day return policy after delivery.